I do so love technology, but it seems I am usually the last one to the party. I was one of the last consumers in Alaska (it seems) to purchase a cell phone. Last year was the first time I built a computer without a floppy drive, and didn’t miss it. After hosting a computer issues program for five years, it was year six when I purchased my first Apple system. And now I set my sights on an MP3 player. Now, I have owned other MP3 players before: many, many other MP3 players. However, I have not thrown my support behind Apple’s iPod or Microsoft’s Zune. Apple’s iPod is obviously the most popular MP3 device, playing the role of the 800 pound gorilla in the portable music world. In second place is SanDisk, which has a line of inexpensive players which fill the sub-$100 price range, and at times its sales outperform those of select iPod models. Third goes to Microsoft with it’s line of Zune players. I’ve been hemming and hawing, trying to figure out if I go the iPod route and join the converted or take the plunge with the 800 trillion pound gorilla that is the Zune’s parent company and take a gamble on new technology. 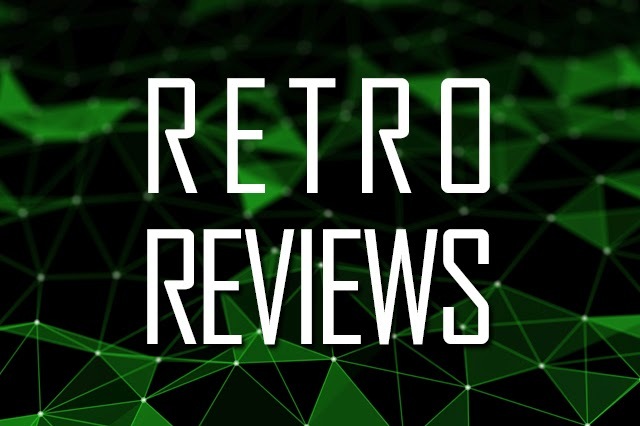 Prices for the last year have been fairly constant at $250, with both companies offering 30 GB versions of their portable players that can not only store and play music but work their magic with movies, e-books, pictures and even some simple puzzle games… either would work fine with me. Recently Apple announced their new iTouch line, which is an iPod crossed with an iPhone’s touch-based interface, minus the phone features. 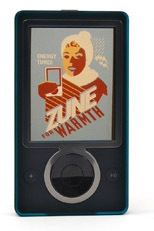 Of course Microsoft counters with their Zune 2 and so it continues. However, unlike the iPod, the older Zune players are getting cheaper, even via official channels. Much cheaper when we figure in unofficial. I am sorely tempted. What do you think? Zoinks! You launched a blog and didn’t invite me to the launch party. Luckily my powers of observation and reportage allowed me to TRACK YOU DOWN. Now I will be a loyal lurker and probably (sadly for you) a vocal voice in the comment section. Like ya! Like your blog. Seriously dude I hear from people all the time that love their zune. I say consider it but only after they release the zune 2. You of all people should know how lovely first gen products can be, and by lovely I mean awful. I learned to text message this weekend. Top that, mister! Text message! I’m so hip!!! Get Skype already, will you? Do you know what program Zune uses to organize music files? That is the big catch for me, not being able to use iTunes to load songs on the Zune. I was considering buying my dad one, but I wasn’t sure how hard it would be for him to manage his music on the computer if he couldn’t use iTunes (It is one of the few programs he knows and can actually use proficiently.) A lot of the software that comes with other MP3 players is too complicated or counterintuitive for him and he just refuses to use it. It uses windows media player 11 to organize your music library. You can then share your music across a network right from windows media player, or share it with an xbox. As far as I am concerned iTunes works better for organizing your library.